Welcome to our new Gr. 9 Students … Important Info Ahead! 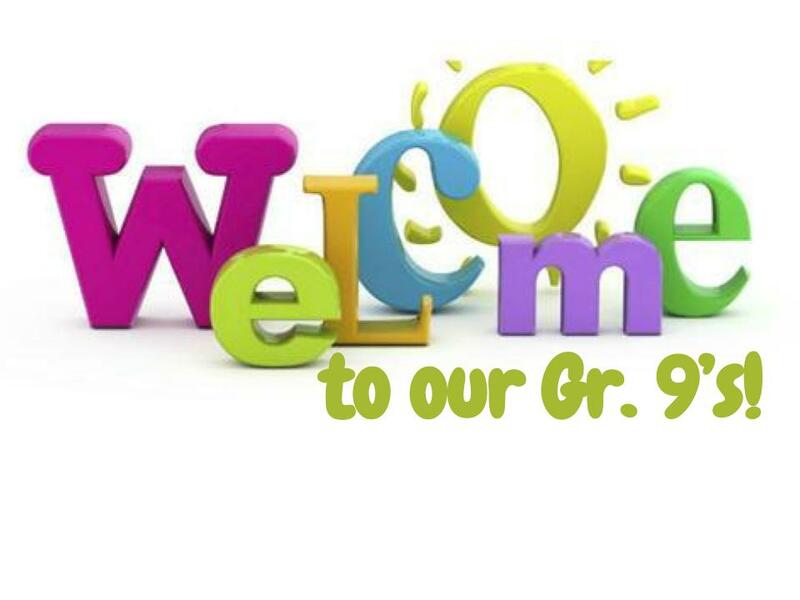 We wish a huge Magic Welcome to our incoming Grade 9 students who will be starting their first day of High School in just 2 weeks. This Welcome to High School Letter was sent out in July, but this is just a quick reminder about important start-up dates for our new students. Please note that the first ... Continue reading "Welcome to our new Gr. 9 Students … Important Info Ahead!" 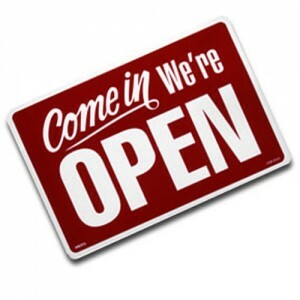 Please note that the FMM Guidance Office will not be open ... Continue reading "School Office Now Open!" FMM is a double winner at the York Region Character Community Awards! 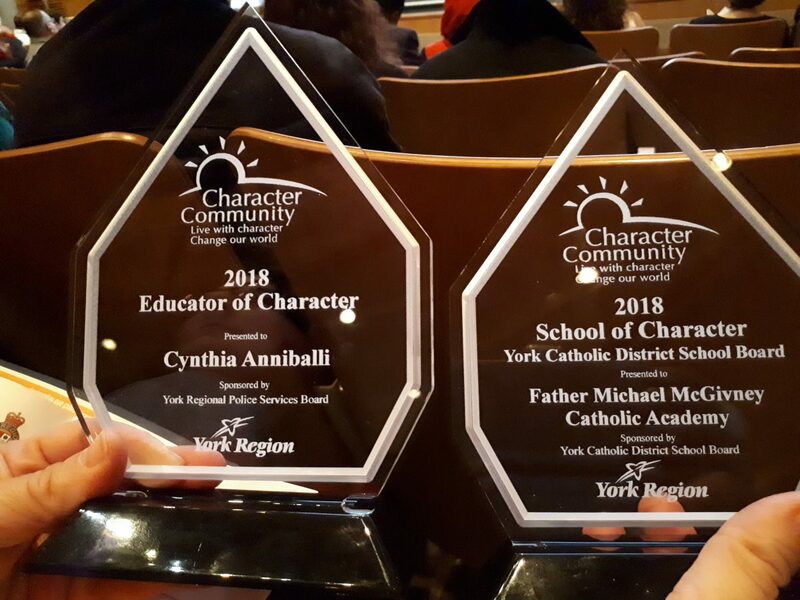 On the evening of Wednesday April 25th, 2018, the community of Father Michael McGivney Catholic Academy was twice-blessed as we were honoured by the Character Community Foundation of York Region with both the School of Character Award and the Educator of Character Award for Ms. Cynthia Anniballi, our Teacher/Librarian. ... Continue reading "FMM is a double winner at the York Region Character Community Awards!" The York Centre for Children, Youth and Families is offering a series of workshops in the first week of May for Children’s Mental Health Week. Some of these workshops are being held at the Richmond Hill location of the York Centre while the two-part workshop on “Parenting Your Anxious Child” is being hosted at Our Lady of ... Continue reading "Workshops available during Mental Health Week ~ May 7th to 11th"
NEW!!! Toastmasters International is bringing their Youth Leadership Development Program to FMM this Spring! NEW @FMM & COMING NEXT WEEK!!! Toastmasters International is a non-profit educational organization that teaches public speaking and leadership skills through a worldwide network of clubs. A local GTA Toastmasters club ~ Drew Club ~ is now sponsoring a Youth Leadership Development Program @FMM that will be starting on FRIDAY May 4th and running for 8 sessions until SATURDAY June 9th. ( ... Continue reading "NEW!!! Toastmasters International is bringing their Youth Leadership Development Program to FMM this Spring!"